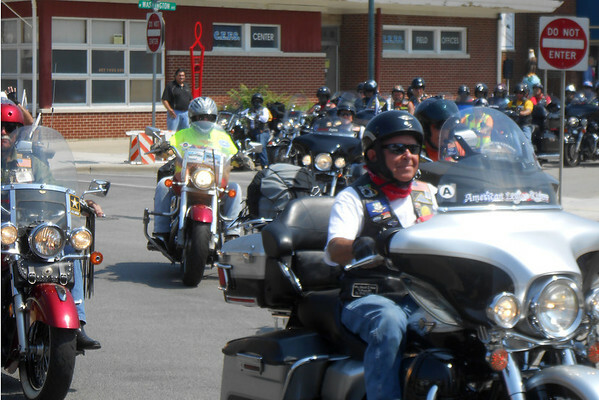 American Legion Riders leave Effingham to continue on the American Legion Legacy Scholarship Run Sunday. The run is to raise money to help pay college tuition for young people who lost active duty military parents on or after the events of 9/11. The run has already raised over $97,000 this year.